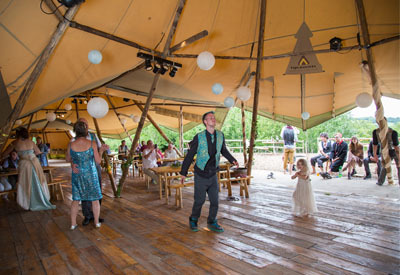 Tipi Events can provide you with a unique and unforgettable Wedding venue, either at our Chew Valley Lake location or at a location of your own choosing. The sky is literally the limit and we are renowned for going the extra mile! 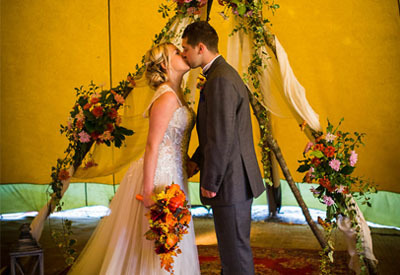 From on-site scenic camping to dedicated barbecues, enchanting woodland to unique decoration, real fires and stunning views to complete packages of everything that you need for your special day. Needing inspiration? 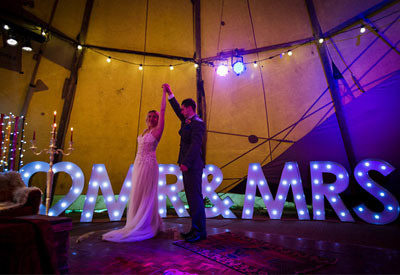 Then take a look at our photo gallery of previous Weddings. 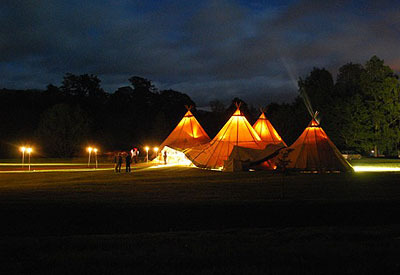 Caterers, Photographers, Videograpers, Forists, Entertainers, Sound, Lighting and much, much more. 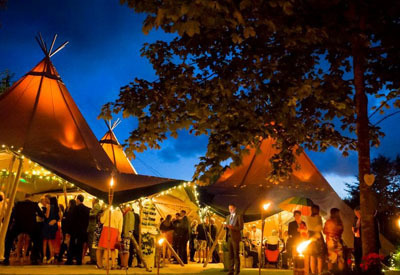 If it’s good & fit for a King and Queen then a tipi from us must be seen…. 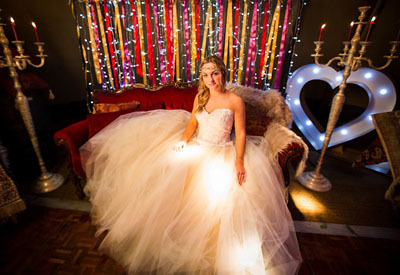 Let us take your Wedding to a new level!